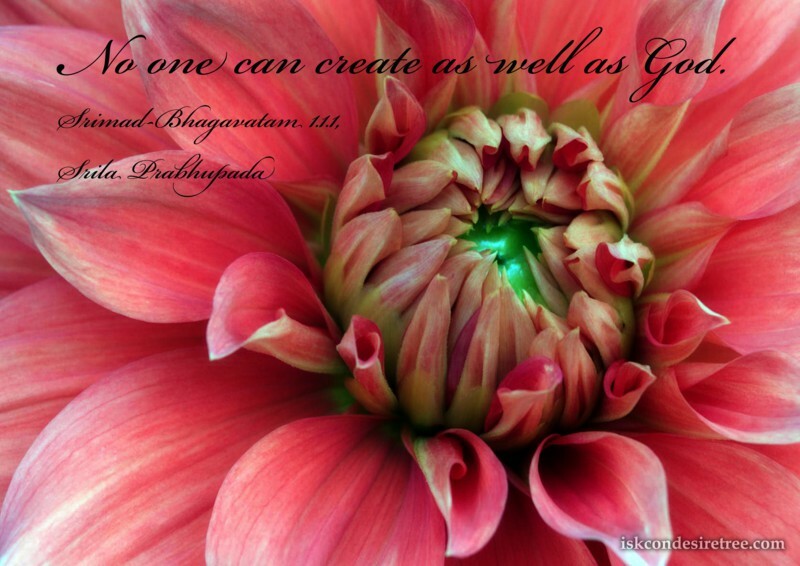 No one can create as well as God. All heads of state should themselves be bona fide representatives of God and should cut down all irreligious systems. Unfortunately they are cowards who declare a secular state. Such a mentality is a way of compromising religious and irreligious systems, but because of this citizens are generally becoming uninterested in spiritual advancement. Thus the situation deteriorates to such an extent that human society becomes hellish. The different parts of a body work selflessly to serve one another and keep the body healthy. Similarly, a healthy society is one in which the different sections serve each other instead of selfishly trying to enjoy by themselves.